Grid environment is a virtual organization with varied resources from different administrative domains; it raises the requirement of a secure and reliable protocol for secure communication among various users and servers. The protocol should guarantee that an attacker or an unidentified resource will not breach or forward the information. For secure communication among members of a grid group, an authenticated message transferring system should be implemented. The key objective of this system is to provide a secure transferring path between a sender and its authenticated group members. In recent times, many researchers have proposed various steganographic techniques for secure message communications. 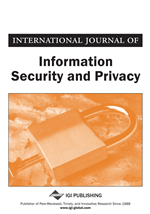 This paper proposes a new secure message broadcasting system to hide the messages in such a way that an attacker cannot sense the existence of messages. In the proposed system, the authors use steganography and image encryption to hide group keys and secret messages using group keys in images for secure message broadcasting. The proposed system can withstand against conspiracy attack, message modification attack and various other security attacks. Thus, the proposed system is secure and reliable for message broadcasting. Security is one of an important issue and essential requirement in grid environment. Grid allows users from multiple domains to work in groups by sharing information with each other. Secure group communication is applicable in various applications such as interactive simulations, multiparty military actions, government discussions on critical issues and real time information services. To secure communication among members of a group working on collaborative tasks, grid environment requires implementation of additional security mechanisms. Secure group communication in grid needs to guarantee confidentiality and validity of the message to confirm the receiver that message is forwarded by the authorized user. The main objective of secure group message transferring system is to create a secure environment between the sender and the authorized receivers for sharing some information in a secure way. In the secure group message transferring protocol, the message communication among the sender and the receivers forming the group must be confidential. Thus, only the authorized group members can extract the message, and the unauthorized members cannot access any important information. This brings the need of secure communication protocol responsible for generating secure group key and providing authenticated secure message transferring between group members. To provide these security functions, secure communication protocol needs to generate a group key/session key for the group members based on their secret information. Our Secure group message transferring stegosystem (SGMS) protocol is based on steganography and image encryption technique to mask secure messages in such a way that an attacker could not know that any message is being communicated in the group. This paper extends our previous work (Bhatia et al., 2013) and proposes a new secure group message transferring stegosystem that can guard the group communication in grid environment against various security attacks, such as conspiracy attack, message modification attack. As a result, the proposed stegosystem not only has advantages of the secret message transferring system, but also is more protected and realistic in comparison to already proposed message transferring system. The remainder of this paper is organized as follows: Section 2 discusses group communication protocols already proposed by various researchers. Section 3 presents brief outline of our already proposed secure group communication protocol. The newly proposed stegosystem is presented in Section 4, while Sections 5 discusses its security features. Section 6 presents the simulation and experimental results and performance, respectively. Finally, Section 7 concludes the paper.